In the Tama area, the townscape in front of the station has a theme-park atmosphere and a huge variety of fun things to do. 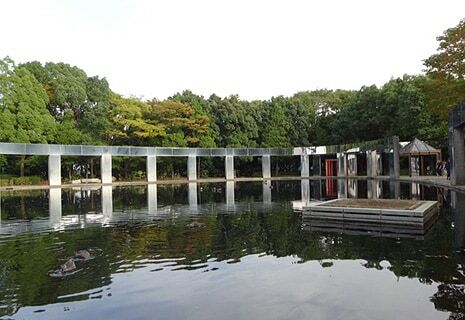 The area is rich in greenery, with spacious parks and traditional Japanese landscapes. 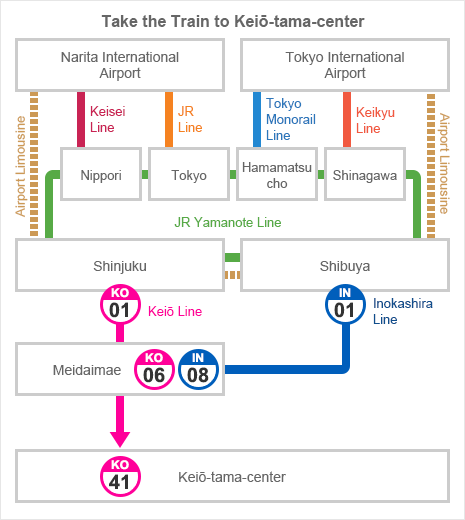 Just 30 minutes from Shinjuku! 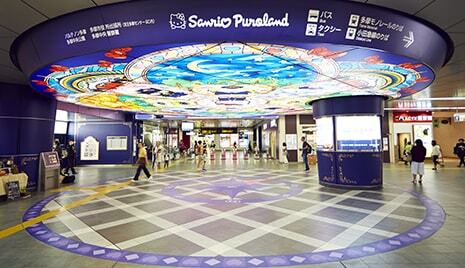 Keiō-tama-center Station is the gateway to Sanrio Puroland for guests from around the world. Sanrio characters including Hello Kitty, who is the honorary stationmaster, and Pompompurin greet passengers the moment they step onto the station platform. Modeled after the elegant style of a European town, the station is decorated with everything Sanrio, complete with an amazing stained glass-style ceiling in the station lobby in front of the central ticket gates. The station is full of delightful touches. You’ll find a special signboard that introduces honorary stationmaster Hello Kitty and other Sanrio characters as honorary station staff. Departure Information panels are also decorated in Sanrio fashion, featuring Pompompurin on platforms 1 & 2 and Hello Kitty on platforms 3 & 4. Take the Little Twin Stars-themed elevator to the platform for inbound trains, where you’ll find signboards with messages to passengers from Keio and Sanrio. 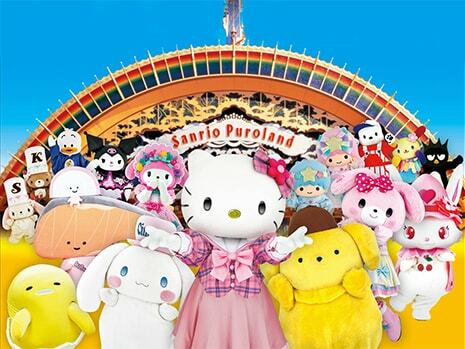 A theme park where you can meet various Sanrio characters such as Hello Kitty and My Melody. Visit to enjoy special attractions, seasonal events, and live shows and musicals performed by popular characters. The park is all indoors, a big advantage on rainy days. 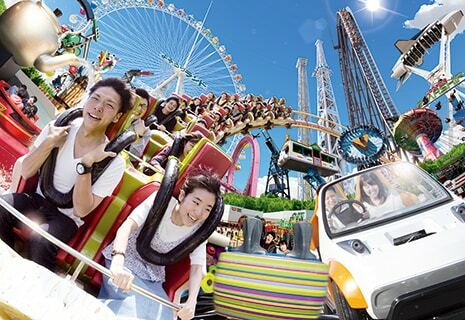 The Keio Amusement Passport is a money-saving passport combining a one-day train ticket with a free pass to Sanrio Puroland. Hello Kitty is now a global superstar. Kitty loves to relax in her private room at the Keio Plaza Hotel in TOKYO. 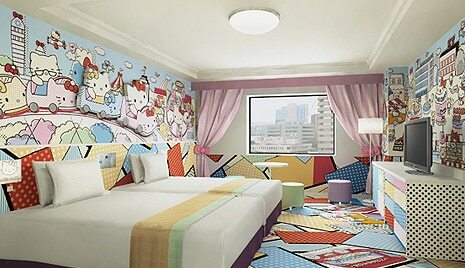 Fans visiting the hotel can now stay in their own Hello Kitty guestrooms, a new line of theme rooms set up in the hotel. Enjoy your special private time steeped in a Kitty atmosphere with the special friends and amenities Kitty loves herself. The Bandit rollercoaster races at a top speed of 110 km/h up and down a series of hills and drops. The Ferris wheel in the family area offers views of Mt. Fuji and Tokyo skyscrapers on clear, sunny days. Find something new and amazing all year round. 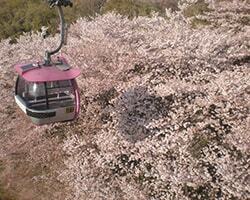 Yomiuriland is known for its amazing cherry blossom viewing in spring. 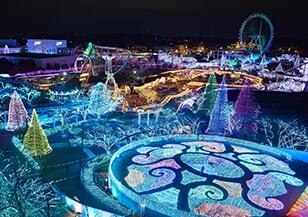 In summer, visitors flock to the Pool WAI area with its five different pools and three sliders, while Jewellumination, one of the largest and most elaborate illumination light shows in the Kanto area, attracts and amazes visitors in autumn and winter. Good Joba! 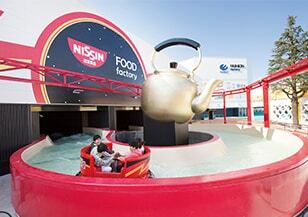 !, a new attraction exploring fine craftsmanship, opened in 2016. 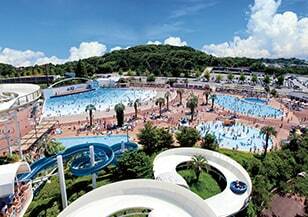 This popular amusement park has continued to expand since it first opened in 1964. Good Joba! !—an abbreviation of Good Job Attractions—is an interactive experience that explores craftsmanship in four industries affecting our daily lives (automobiles, food, fashion, and stationary). Pool WAI features a wave pool and adjacent beach, as well as a 386 meter-long ride in an inflatable raft down the Giant Sky River. Find the perfect pool or slider whether you’re looking for a thrill or a resort feel! A spectacular display of some five million (in 2016 ) LED colored lights turns the park into a “bejeweled” fantasy in the evenings. More elaborate every year, this sparkly jewel-colored show has become a must-see in the autumn and winter months. Featuring meat and all the ways to cook, the theme park is located on the 5th floor of the new Frente Minami-Osawa building. In addition to classic barbeque and Hamburg steak, Tokyo Meatrea offers a fine selection of meat-based cuisine, including regionally crafted dishes and special cuisine made from brand-name meats. Some shops offer take-out only, while others provide restaurant seating as well as take-out options. Enjoy the exciting sizzle of authentic barbeque in a restaurant setting or pick and choose from the array of take-out options to make a delicious meal from sumptuous samples in the public table area (approx. 100 seats). 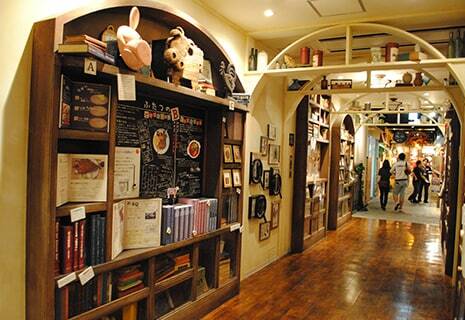 Don’t miss the venue’s Museum of Meat, as well. * Some shops and restaurants may not offer take-out during certain hours. 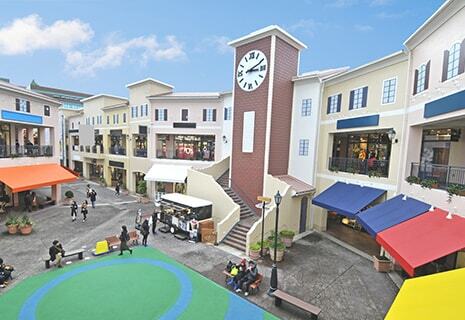 An outlet shopping mall with some 110 shops of famous brand names and fashion boutiques from Japan and around the world. Appreciated for its easy access from Minami-ōsawa Station, this is a popular shopping destination that offers high-quality items at attractive outlet prices. In addition to restaurants and supermarkets, the outlet park features an event stage and play area with playground equipment and benches for relaxing. Everything you need for comfortable shopping and leisurely breaks. Tama New Town was conceived as an open-plan park with a big pond and expansive fields of manicured lawns. Visit the Green Live Center in the conservatory botanical garden to feast your eyes on tropical plants and flowers exploding with color. A unique, nostalgic landscape in Tama Hills, replete with thickets, grass hills, and even rice paddies. Ideal for strolls, light exercise, and nature observation. 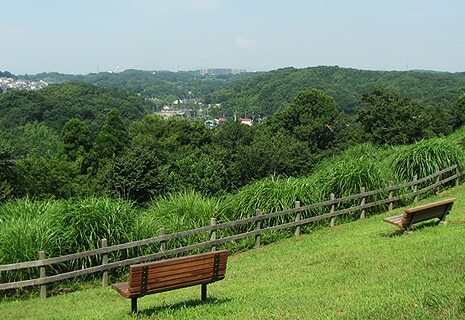 From the Miharashi open space, you can see the Tanzawa mountains beyond a range of hills closer in the distance. You can also see Mt. Fuji on a clear day.